While the larger conflict between the Ninth Circle and Team Arrow plays out, it’s the battle between Oliver and Amiko that may prove to be the key. The episode is called “Spartan,” and it appears to bring up some skeletons from Diggle’s past. 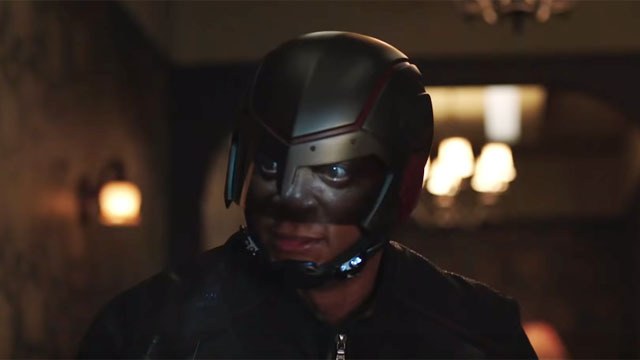 Here’s the official description from The CW: “ERNIE HUDSON (“GHOSTBUSTERS”) GUEST STARS — After the Ninth Circle delivers a major setback for Team Arrow, Diggle (David Ramsey) reluctantly reaches out to a Four-Star General of the Defense Intelligence Agency (guest star Ernie Hudson) for help, despite unresolved tension from their past. Meanwhile, Oliver (Stephen Amell) discovers a piece of information that he believes will turn Emiko (Sea Shimooka) against the Ninth Circle. Alena (guest star Kacey Rohl) returns with an interesting proposal for Felicity (Emily Bett Rickards). Watch Arrow season 7, episode 19 trailerBam! Smack! Pow!